Shopping for Toilets in Perth? This is what you need to know! Like everything, toilets also come in a wide range of types, shapes and styles. Therefore, when you go out looking for a new toilet in Perth, the chances are, you’ll be overwhelmed by all the available options. So, how do you choose between one and another? Firstly, there are several things you need to know before you can choose which to purchase. Today, I will share some knowledge with you on what you should look for when choosing a new toilet in Perth. By following this guide, you can ensure that you choose the right toilet for your needs. The first thing you should know about toilets is the various types that are available. 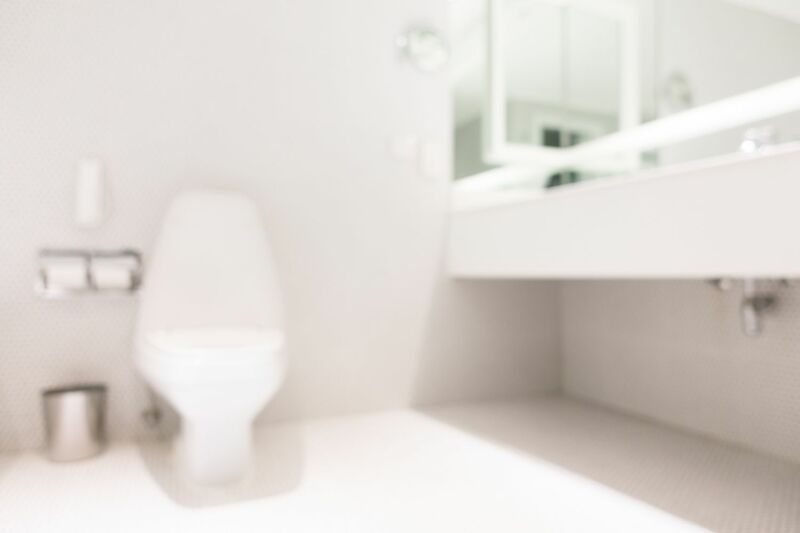 Toilets can be categorised into four types, including close coupled toilets, back to wall toilets; wall hung toilets and connector toilet suites. Close coupled toilets are the traditional type of toilet where the toilet bowl and cistern are closely coupled together. They include a floor standing unit with a cistern which is visible behind the toilet seat. If you’d like to go with close coupled toilets, then you should consider our range of toilets at Alpine Building Products. Take a look at our Everest Toilet Suite, Mirage Toilet Suite, Cube Toilet Suite and Cube Curved Toilet Suite. These close coupled toilet suites of ours feature exceptional build quality and offer great water efficiency. Back to wall toilets are a modern type of toilet which looks somewhat similar to close coupled toilets. However, the cistern is concealed behind a unit or a wall. They are a great option if your bathroom lacks space and you’re looking for a contemporary toilet. Here, at Alpine Building Products, many of our close coupled toilets are also available in back to wall variants. Consider our Everest Toilet Suite, Cube Toilet Suite and Cube Curved Toilet Suite for the best back to wall toilets in Perth. Wall hung toilets are the most modern looking type of toilet. Such toilets appear to float above the floor, and there is no visible pedestal or cistern. While such toilets can be found in designer bathrooms, they are making their way into common bathrooms as well. Connector toilet suites are also a traditional type of toilet, similar to close coupled toilets. The only difference is that the cistern joins the bowl with the help of a connector plate and plastic flush pipe. Connector toilet suites are also the easiest to install. If you’d like to go with a high performing connector toilet suite, then consider our Oasis Link Toilet Suite at Alpine Building Products. Another thing you should consider before purchasing a toilet in Perth is its set-out. The set-out of a toilet is nothing but the distance from the centre of the waste outlet to the wall. Toilets usually have one of three types of set-outs. These include S-trap set-outs, P-trap set-outs and skew pan set-outs. S-traps are the most common type of set-out. However, P-trap set-outs are gaining popularity because of ease of installation. Skew pan set-outs are much less popular as compared to the other types. The tank capacity is more or less similar across toilets. However, the flushing system varies from one toilet to another. The flushing systems you can choose from including gravity flush systems, pressure-assisted flush systems and dual flush systems. Gravity flush systems are the simplest flushing system which uses water weight for flushing. On the other hand, pressure-assisted flush systems make use of pressurised air forces along with water weight for flushing. Dual flush systems allow you to flush fully or partially depending on the need. When you’re looking for a toilet in Perth, consider what features you need. Some features you should look at include dual flush mechanism, water saving features, shape and height of toilet bowl. Do understand that toilets come in various configurations. Think of your space and your usage needs and choose a toilet accordingly. Before you jump into buying a new toilet in Perth, you need to know more about toilets. Toilet suites come in four types, namely close coupled toilets, back to wall toilets, wall hung toilets and connector toilets. Toilets may have one of three set-out types which include S-trap, P-trap or skew pan set-out. While the tank capacity of most toilets is the same, the flushing mechanism can be a gravity flush, pressure-assisted flush or a dual flush. Think of your bathroom space and your toilet usage needs before purchasing a toilet. And, for quality toilets in Perth, consider the range offered by Alpine Building Products. To purchase one of our toilet suites in Perth, simply visit your nearest Alpine Building Products retailer.